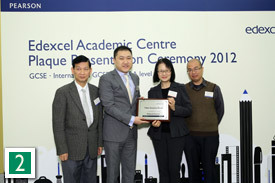 Pearson Hong Kong recognised 84 schools from Hong Kong and 5 schools from Macao in the first ever ceremony to celebrate the presentation of plaques to Edexcel Academic Centres in Hong Kong on 4 December, 2012. The ceremony, held at the British Consulate-General in Hong Kong, was attended by 35 schools with nearly 70 principals and representatives. It started with a welcome speech from Mr Stephen Cartwright, Trade Commissioner, British Consulate-General in Hong Kong. Welcome speech from Mr Stephen Cartwright. Nearly 70 school principals and representatives attended the ceremony. 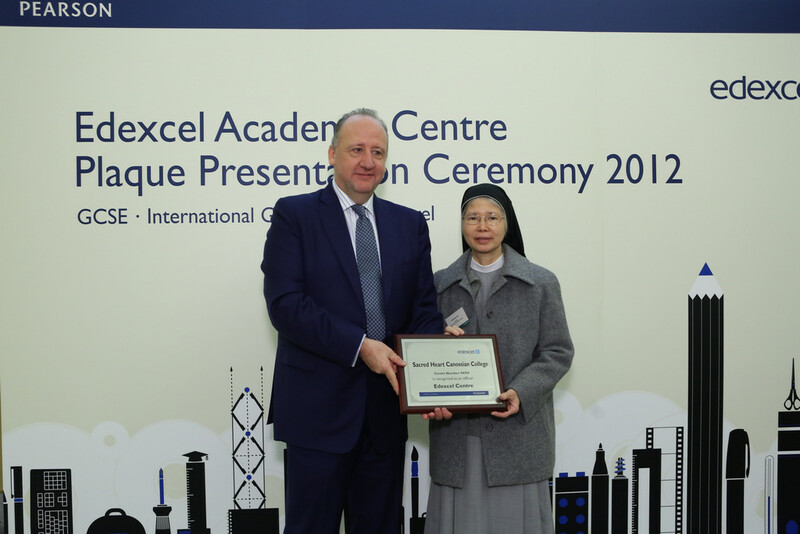 For more than 30 years, Edexcel has been proud to offer qualifications in Hong Kong, originally as the University of London School Examinations Board and more recently as Pearson/Edexcel. This ceremony was an opportunity to thank some of the more long-standing centres and to welcome some of the newer centres in Hong Kong. Edexcel is owned by Pearson, the world's leading learning company, and offers internationally recognised qualifications as well as testing to schools, colleges, employers, training providers and other places of learning. Edexcel qualifications are designed to be relevant to local needs and provide students with structured progression into employment or higher education. Edexcel academic qualifications taken internationally include GCE AS/A levels, International GCSEs and GCSEs. Edexcel qualifications are offered by more than 5,400 schools, colleges and employers worldwide and engage over 1.7 million learners annually. Mr Dugie Cameron talked about the new Learning Curve report from Pearson. Mr Dugie Cameron, President, Pearson Asia Pacific, also attended the ceremony and spoke about The Learning Curve, a new landmark report from Pearson designed to help policymakers, school leaders and academics identify the key factors which drive improved educational outcomes. Principals and representatives were charmed by the high ranking of Hong Kong's education system in the report and interested in knowing more about the research. Plaques were presented to centre representatives by Mr Dugie Cameron, President, Pearson Asia Pacific 1; Mr Jacky Gao, Director of Edexcel North Asia 2; Ms Fiona Morgan, Communications Director, Pearson Asia Pacific 3; and, Dr David Davies, Director of Stakeholder Management, Edexcel 4. Dr David Davies shared some exciting new developments for Edexcel Academic Qualifications. The event was wrapped up with a speech by Dr David Davies, Director of Stakeholder Management, Edexcel. He said, "After the introduction of the HKDSE exam, it is becoming more and more competitive for undergraduate admission to universities in Hong Kong. In recent years, many local secondary schools have been encouraging their senior form students to enroll for Edexcel's International GCSEs, GCSEs or GCE AS/A levels on top of the HKDSE exams in order to increase their chances of being accepted by universities." "Many of the GCE AS/A level students will now have used their qualifications to progress to study in leading universities not just in Hong Kong but in the United Kingdom, the United States, Canada and elsewhere. This is an excellent achievement!" Principals shared ideas and experiences with the guest speakers. The ceremony was very well received, with many principals expressing tremendous interest in the speakers' presentations. A lot of principals stayed behind, sharing their ideas and experiences with our guest speakers. 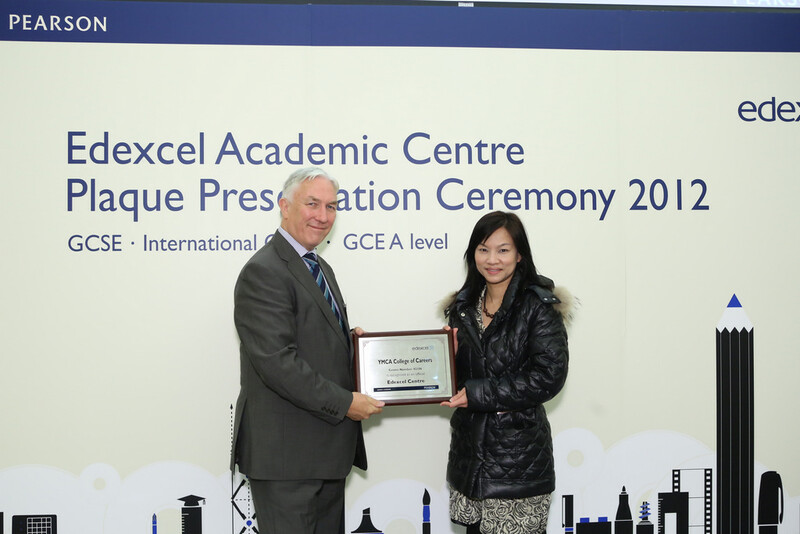 Watch this space for more news about Edexcel in Hong Kong, and across Asia Pacific, in the coming months!